Leverage the power of your network, be where your customers meet! For us at FIAT/IFTA, it is important that our partners are able to broaden their competitive advantage by cementing their credibility, image and prestige through sponsorship of our conferences, seminars, events and other activities attracting their target audience. Sponsoring FIAT/IFTA allows our partners to engage a specifically targeted niche market with greater efficacy. Develop relationships with audiovisual archives around the world. Increase their knowledge and understanding of our members. Continuously connect to them as potential clients. Hear what archives have to say about partner’s products and their future product needs. 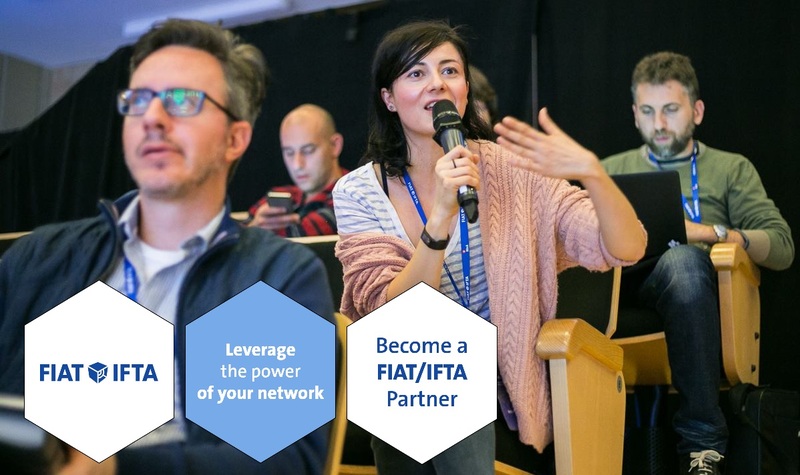 In order to achieve these goals, FIAT/IFTA has developed different partnering opportunities. We have created the exlusive option of Platinum Partners. These partners will be linked to FIAT/IFTA in the longer term and will enjoy exclusive privileges. We have also created the accessible option for business relations to become a friend of FIAT/IFTA where they can participate in some of the communication components offered in the different packages. As our partner, you will become more involved in our community. With the different marketing tools, the support of the FIAT/IFTA office – and a little effort from you as our partner, we will be able to provide all the important elements to build relationships with our members. Or mail to the FIAT/IFTA Office for more information: office@fiatifta.org.